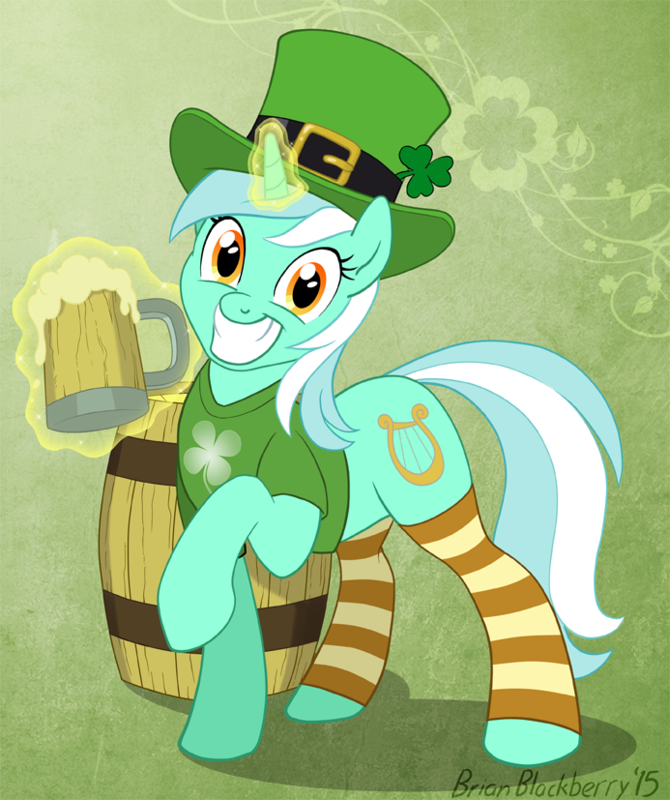 Ah, I knew there would be one Saint Patrick's Day pony reference! Great job! Yay! This is so great! Makes my St. Patty's day that much better. I'm Irish, and I approve this image. 'Irish' Lyra has shown up on MLP comic's covers...One with her doing a jig...And there was also a really cute shirt with her as well. So if Lyra did speak (Has she?) it wouldn't hurt to give her an Irish accent. Great pic as always.